Fact: Charlene was never Aga's girlfriend. 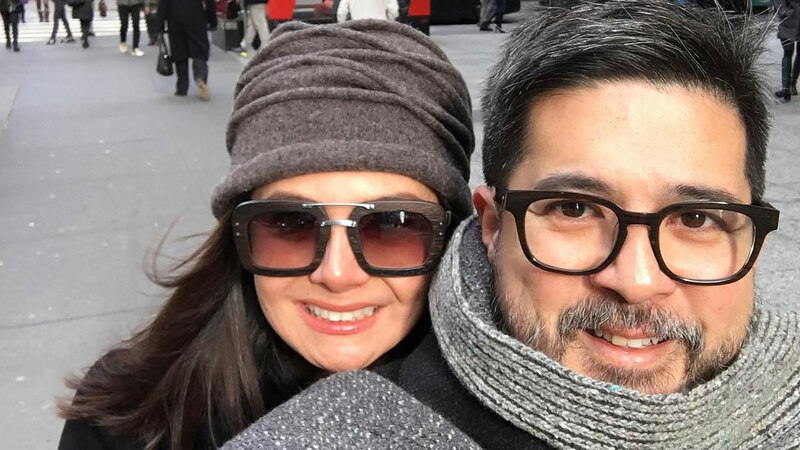 '90s matinee idol Aga Mulach told the amazing story of his 17-year marriage with former beauty queen Charlene Gonzalez. During a recent interview on Gandang Gabi Vice, Aga revealed that Charlene, who happened to play his on-screen love interest on the '90s sitcom Oki Doki Doc, never became his girlfriend in real life. Instead of going through the usual dating phase, there just came a moment when he realized that Charlene was "The One" for him. "One day, we were all out tapos parang kinilabutan ako. Sabi ko, 'Parang si Charlene magiging asawa ko,' said Aga. "I saw something in her. For an hour we were just talking and talking and talking. I realized it's her!" The Oki Doki Doc team was shooting in Singapore when Aga casually but sincerely popped the question—no ring, no photographer, no grandiose gestures either. "Casual na tanungan lang. I have a question, 'Will you marry me?" Sabi niya, 'Yes!' Naiyak talaga ako." Less than a year after the proposal, they were married in May 2001 in Baguio City. Charlene was then three months pregnant with their twins Natasha and Andres. Watch their wedding videos below for the ultimate showbiz throwbacks!